Web design to showcase Quality Vehicle Imports brand. No matter what industry you operate in, it is important to have a clear and consistent brand and voice. This was vital in Fabric’s collaboration with the team at Quality Vehicle Imports, who import a range of quality vehicles from the UK at market beating prices. 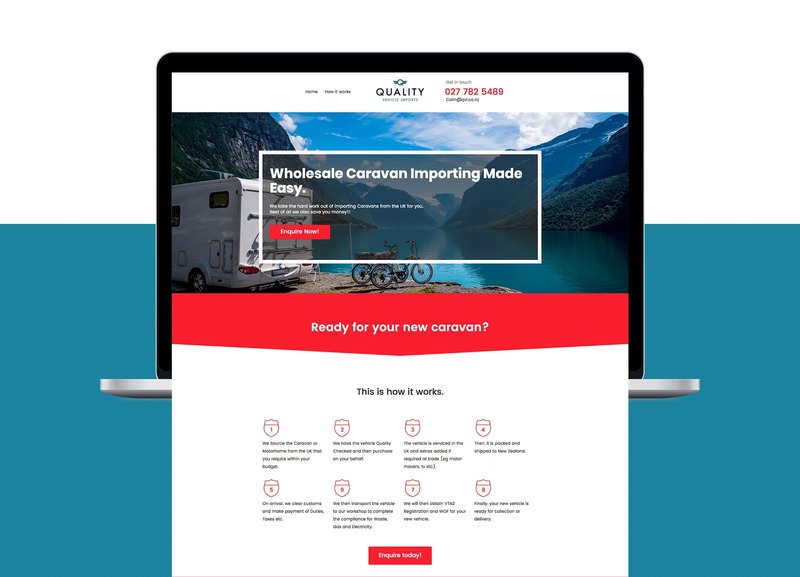 They were moving into the caravan and campervan import industry and needed a webpage that turned visitors into customers. 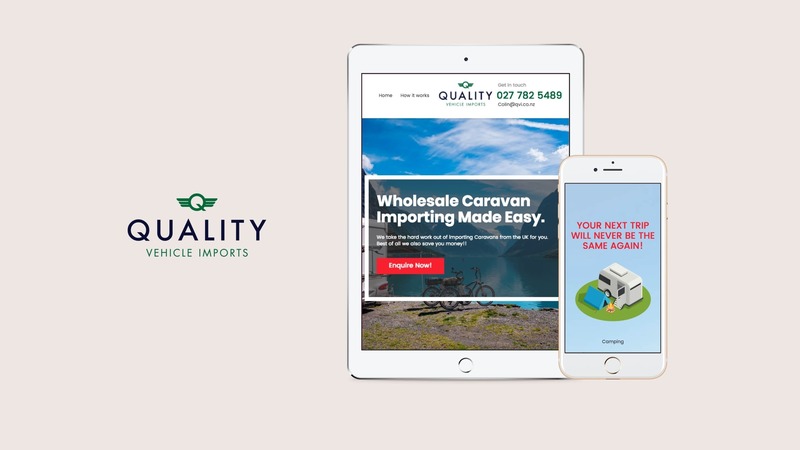 Fabric worked with Quality Vehicle Imports to build a simple but effective web design in Auckland that is in line with their brand and reflects the quality of the vehicles they import. This landing page showcases the beautiful New Zealand landscapes you could experience when travelling in your caravan. It acts as an eye-catching landing page that simplifies the vehicle import process for even the least tech savvy customers, compelling them to get in contact. Fabric also built a highly targeted Google AdWords campaign to send people already in the market for a caravan or campervan to this custom-built webpage.